I have pedaled 5 1/4 miles from Anderson Park Point to get to this long beautiful trail challenge. I deal with it often, but is not my friend. The crest is at Brownfield Road, the common end-point for this ride-route. 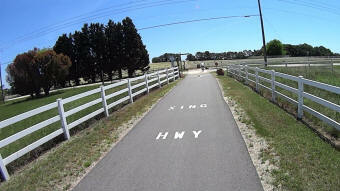 ...but today I intend to go another 6 miles to Clayton and record it. 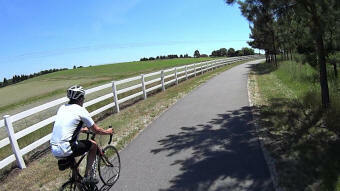 Soon after I begin my ascent, I get passed! That has never happened before, to me. I sometimes pass others. I like to claim my disadvantage is the heavy ride I pedal... 52 pounds of a steel bicycle from Target, and 12 pounds of tools, gear, parts and first aid in the bike trunk bag. ...and I'm old. ask any kid. Some would say 'Ancient'. 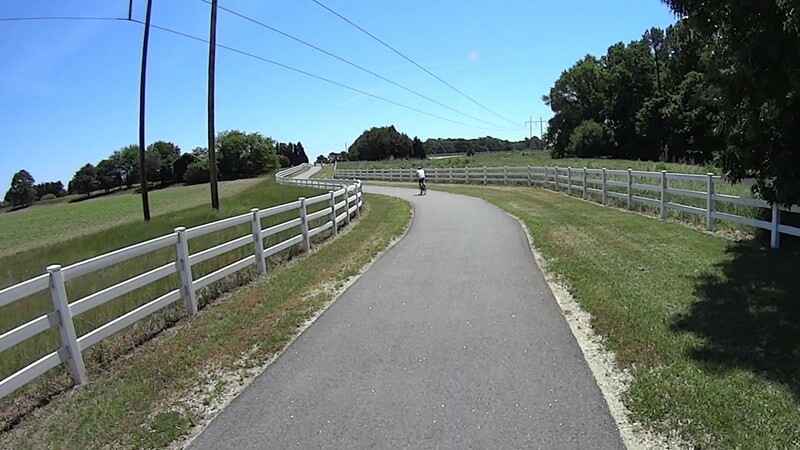 Clayton downstreame 1 of 5, Capital Area Greenway Trail System from Carl Roberts on Vimeo.